Climbing has a positive influence on children‘s motor development. 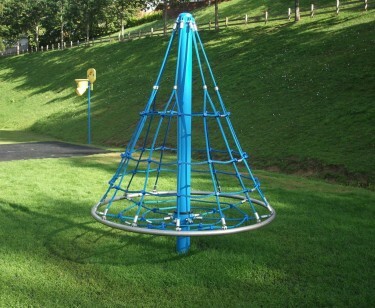 The setting needed for this special experience is provided by rope play equipment with climbing nets, which also meet the required safety standards. 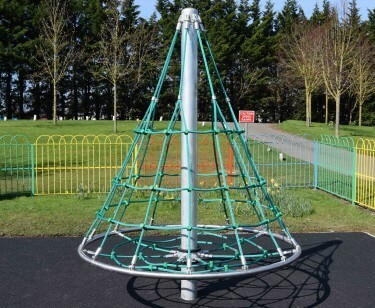 With the climbing nets acting as safety nets, children can climb to greater heights. These ropes are especially appealing because they swing, bounce and vibrate, increasing the challenge of the climb. Rope ladders and ropes round off the colourful world of play: It‘s great fun to clamber up to a play platform on a rope ladder or even on a free-swinging rope – an experience where young adventurers are bound to get what they came for. 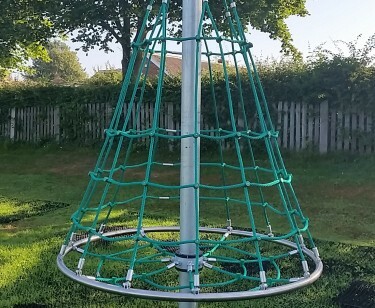 All Activity Nets and Cone Climbers come in a multitude of sizes to suit the intended age group, with various rope colour options also available.